Four military canines received the nation's highest honor for their service and sacrifice to the U.S. The dogs received the inaugural American Humane Lois Pope LIFE K-9 Medal of Courage for saving countless lives during their military tours. 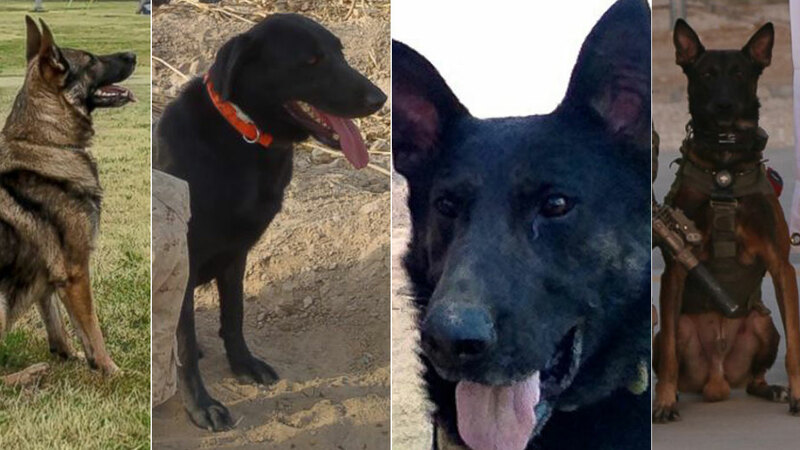 All four have been to Afghanistan, according to the American Humane Association. The dogs are Matty, a Czech German shepherd; Fieldy, a black Labrador retriever; Bond, a Belgian Malinois; and Isky, a German shepherd. Matty helped find hidden improvised explosive devices (IEDs) and saved the life of his handler and others in his unit more than once. Fieldy tracked down explosives and served four combat tours in Afghanistan. Bond worked more than 50 combat missions and had been deployed to Afghanistan three times. Isky guarded leaders and military personnel for years, but now works as a service dog after he was hit and injured by an IED. His handler was also injured. "Soldiers have been relying on these four-footed comrades-in-arms since the beginning of organized warfare and today military dogs are more important than ever in keeping our service men and women safe," said Robin Ganzert, the American Humane Association's president and CEO.